Addressing a commission meeting in a conference room at the Newark law office of Sills Cummis & Gross, Rodriguez said, “We are increasingly targets of hacktivists, cyber-criminals, and state sponsors — the Russians, the Chinas, the North Koreas, the Irans — who are always trying to get into our systems,” even though the United States maintains military superiority. “We have seen malicious codes on the systems that are really there collecting information, but can be used to move and influence the United States’ policies and the policies of its allies”, he said. One problem, according to Rodriguez, is that the United States is far behind other nations in educating students to combat cyberterrorism. “China is graduating an average of two million cyber warriors a year, while the U.S. figure is tens of thousands of such experts,” he said. Rodriguez told the commission that NJ’s sophisticated cyber-counterterrorist measures are providing technical assistance to the Central Intelligence Agency, the National Security Agency, and police agencies in eight foreign countries, including Israel. He said the American intelligence community has a budget of $70 billion. Earlier in the meeting, three other speakers touted Israel’s close relationship with the state of New Jersey. “We have not had enough companies from Israel open here,” she said, even as she noted that the state gave $22 million in tax credits to Neptune Intelligence Computer Engineering, which is based in the Israeli city of Ra’anana and has opened a branch office in Monmouth County. It manufactures systems for data security, surveillance, and recording telephone conversations. She said NICE has received $22 million in tax credits from the state, and she predicted that in the next 20 years the company will earn $88 million and will increase its labor force from 140 to 340 people. 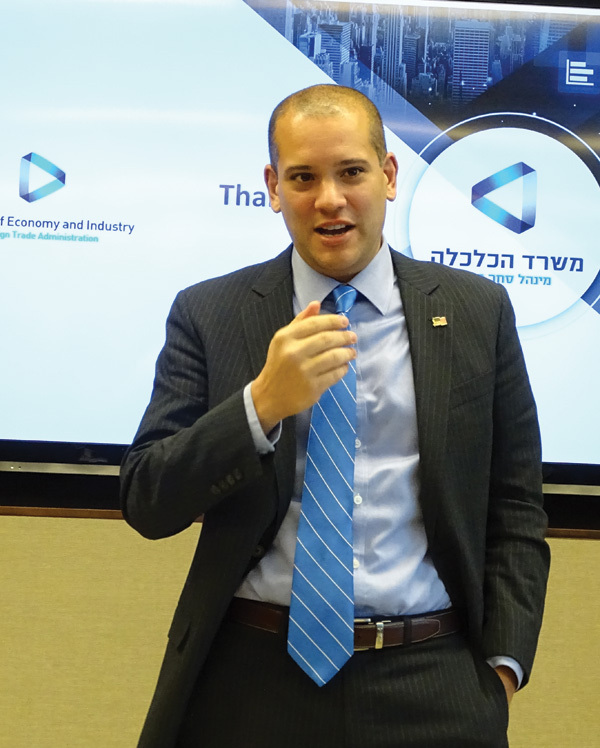 Inon Elroy, Israel’s economic minister to North America, said one of his country’s newest technological developments is a diagnostic medical device called the PillCam. It is the size of a capsule, and after it is swallowed it transmits video images of a patient’s intestinal tract without the need for X-rays, MRIs, or exploratory surgery. Dani Dayan, who has served as Israel’s consul general in New York since August, said part of his mission will be to bring Israeli companies to NJ. “I think it is important not only for Israel, but for New Jersey,” he said. In terms of international relations, Dayan told the commission that Israel “was never less isolated diplomatically than these days.” He said his country now enjoys an “intimate relationship” with India, with an official exchange of visits between Indian Prime Minister Narendra Modi and Israeli Prime Minister Benjamin Netanyahu. But the most significant of relationships are with Israel’s return to Africa and Africa’s return to Israel. 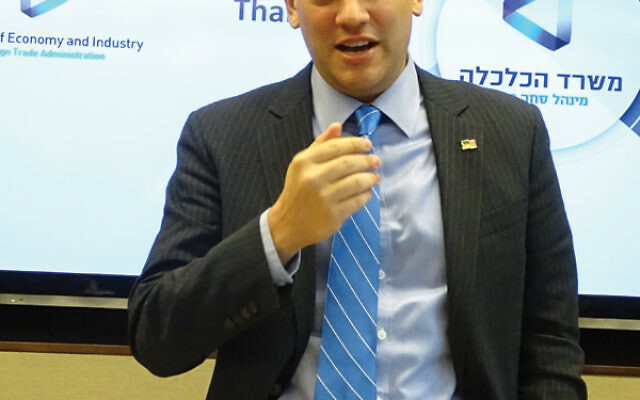 In an interview after the meeting, commission chair Mark Levenson, a partner at Sills Cummis & Gross, told NJJN he was “excited” about the future of Israel’s partnership with NJ. “Israel is gold right now economically,” he said. After Republican Gov. Chris Christie leaves office in 2017, Levenson expects his successor to continue close relations with Israel and its fields of technology and economic development.